Ships today if you order in the next 12 hours 50 minutes. When a child catches a cold, it can cause an increase in mucus production and congestion. But you may not feel comfortable giving a younger child over-the-counter decongestants and cough medicine, due to the potential life-threatening side effects. Homeopathy offers nontoxic, effective and inexpensive approaches for parents. 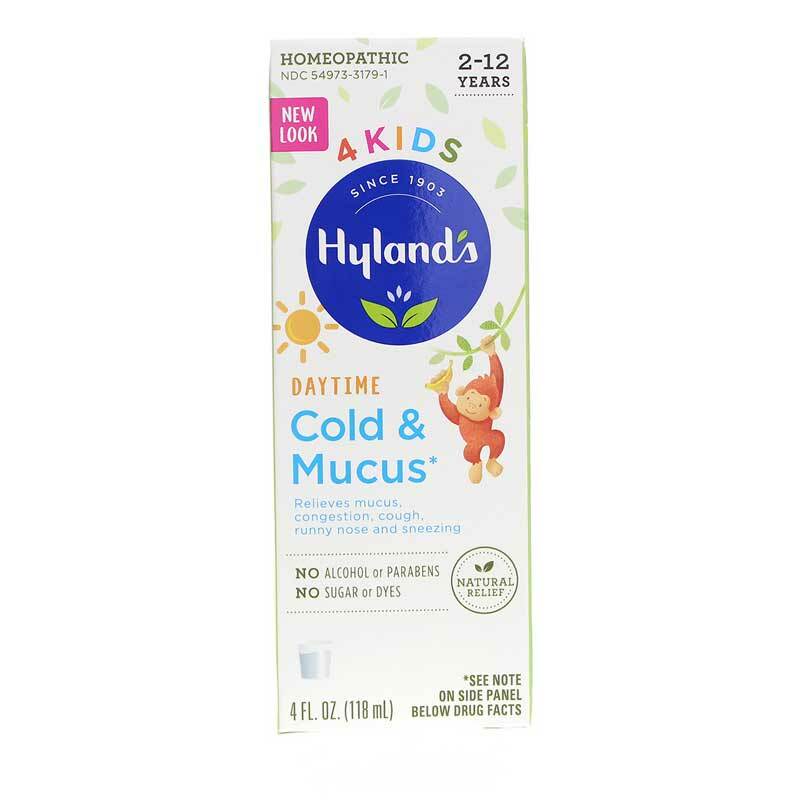 Hyland's 4 Kids offers a homeopathic formula called Cold 'n Mucus that provides natural support for loosening mucus in the chest, throat and nose in 2- to 12-year-olds. When the pressure is on, help your child through their allergy, cold or flu symptoms in a way that works with their natural body systems. There are no artificial colors or flavors in this homeopathic product. If you're looking for natural homeopathic relief from mucus and congestion, runny nose and cough, check into Hyland's 4 Kids' Cold 'n Mucus. Order online today!